Right on! Well done! I’m impressed with y’all’s knowledge of RELL SUNN! The answer is A. MĀKAHA. I think I will always have a crush on her. The surf angel. Please click HERE to learn more about the Rell Sunn Educational Fund. And this week’s winner, chosen randomly from all of the correct answers, is… (Drum roll, please…) SHARON T! Congrats, Sharon! That makes you this week’s Trivia Superstar! A giant MAHALO to everyone for playing along this week! Hope you’ll play next week, too! Do to a technical hiccup, only a few folks received the Aloha Friday Trivia Challenge last week. So I’m reposting it, again, today! Which Hawaiian recording artist released the award-winning album called ʻĀ. You all impress me! Wow! You sure do know your Hawaiian artists and albums! The correct answer is B. Natalie Ai Kamauu. Have you heard this album? AWESOME! AWESOME! AWESOME! Please click HERE to learn more about the album & listen to some samples! And please click HERE to visit Natalie’s website. And this week’s winner, chosen randomly from all of the correct answers, is… (Drum roll, please…) JAN TAPLEY! Congrats, Jan! You’re this week’s Trivia Superstar!! A giant MAHALO to everyone for playing along this week! Hope you had a great weekend and a great Aloha Monday. Which artist recently released an album called MĀLAMA KO ALOHA (Keep Your Love)? The correct answer is D. KEOLA BEAMER. And this week’s winner, chosen randomly from all of the correct answers is… (Drum roll, please…) LINDA CANNIZZO! Congrats, Linda! That makes you this week’s Trivia Superstar! Mahalo to everyone who played along this week! And I hope you’ll play along next week, too. What is the 3-letter code for Kahului Airport (aka Maui International Airport) located on the island of Maui? You guys are awesome! I love that you played along! And I love that we had some different answers this week! The correct answer is C. OGG. Why those call letters? I’m not sure. One of my hānai sisters works there, so I’ll have to ask her. Stay tuned–maybe that will be a future blog post. Ha! And this week’s winner, chosen randomly from all of the correct answers, is… (Drum roll, please…) AILEEN HAUNANI MAKAIWI-RAUCHMAN! Congrats to you!!! You are this week’s Trivia Super Star! 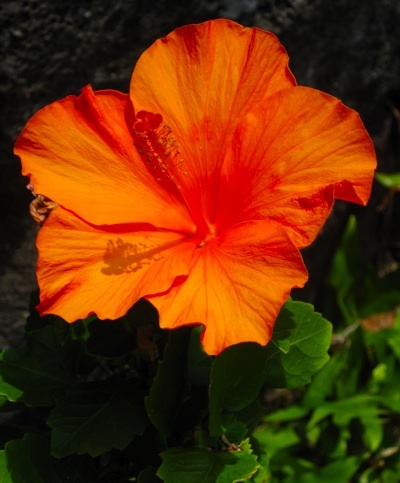 A giant MAHALO to everyone who took a moment during a busy Aloha Friday to play along in this week’s challenge. I hope you’ll play next week, too! Which Hawaiian recording artist released the album KEIKI KUPUNA in 2004? Yes! You all know your Hawaiian albums and Hawaiian recording artists, that’s for sure! The correct answer to this week’s question is A. DENNIS PAVAO. The album (one of my favorites!) was released by Uncle Dennis’ family after he’d passed away in 2002. From what I’ve read, he’d recorded the songs just weeks before he passed away. We lost him too soon–he was so young. And one of the most brilliantly talented people I’ve ever listened to. This album is a treasure, for sure. This week’s winner, chosen randomly from all of the correct answers, is… (Drum roll, please…) KANILEHUA. Congrats, Kanilehua. That makes you this week’s Trivia Superstar. A giant MAHALO to you all for playing along this week. Hope you’ll take the challenge next week, too!